Ladakh is a mystic and a beautiful place nestled in the lap of the Himalayan mountain range. 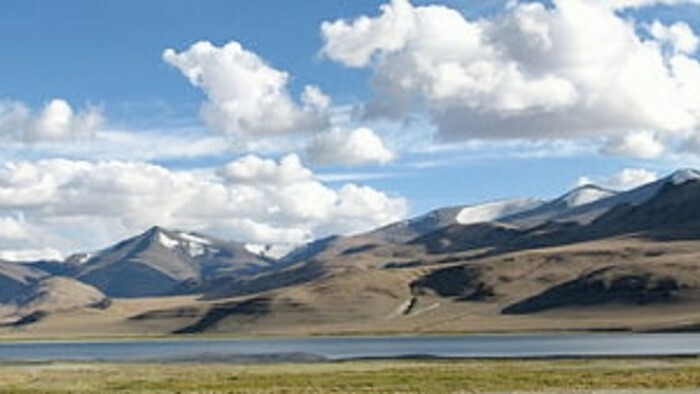 The average altitude of Ladakh region is about 3,000 feet. Ladakh has a lot to offer to different kinds of people. Ladakh is a haven for people who love nature. It is also the primary adrenaline fix for adventure lovers. The monasteries and the Buddhist architecture draws the spiritual ones to it. The land of the llama is multifaceted and it is able to satisfy everyone’s needs. Since Ladakh is situated in the Himalayan range, it is visited primarily in the months of May-July i.e the summer months. During winters, snow clogs the roads and transport becomes a huge problem. Even in the summer months Ladakh is quiet cold, so be sure to pack warm clothes. Warm jackets to protect against the cold and dry winds of Ladakh. Raincoats to provide a bit of solace during rains. Gum boots are required if you are crossing water streams. Note : It is advised to wear the clothes in layers as it is easy to add or remove any layer depending on the temperature variation. Diamox Tab 10 – This helps in reducing the effect of AMS (acute mountain sickness) and it also helps in acclimatizing to the altitude of Ladakh. ORS electrolyte helps the body in maintaining the required saline content and the best part is it also tastes good. Dettol antiseptic is a no-brainer to carry on this adventure. Glucon D is very useful. Pain sprays like Iodex is necessary cause driving for long durations puts a lot of strain on the back muscles. Regular medicine such as crocin, vicks action 500, Digene, Voveran SR (provides pain relief) and Enteroquinol (provides relief from loose motion). Note : Consult your doctor on any other medicines that you are required to carry. The first aid kit is aimed at providing relief. Sunscreen with an SPF rating of 30 or higher to protect your skin from the UV rays of the sun. Mustard oil acts as a brilliant moisturizer. Apply it on your palms and your nose to protect these parts from the cold Ladakh winds. Note : These are a few things that are very important for the trip. Add other things if you have the need for those items. Maggi; this is the staple food for you during your trip. It is delicious, cheap and also easy to prepare which makes it the best type of food for adventures. Water. Carry lots of water and keep rehydrating yourselves every couple of hours to prevent AMS. DSLR camera to capture your trip memories. Multiple memory cards for the camera. A high capacity power bank for your phone. Riding jacket with thermal lining. Note : These are a few recommended/necessary items. Add other items that you feel are necessary to make your trip more fun. Ladakh is a land of adventures. While all adventures are fun and exciting, it also comes with certain risks. And an adventure in Ladakh is no exception to that rule. 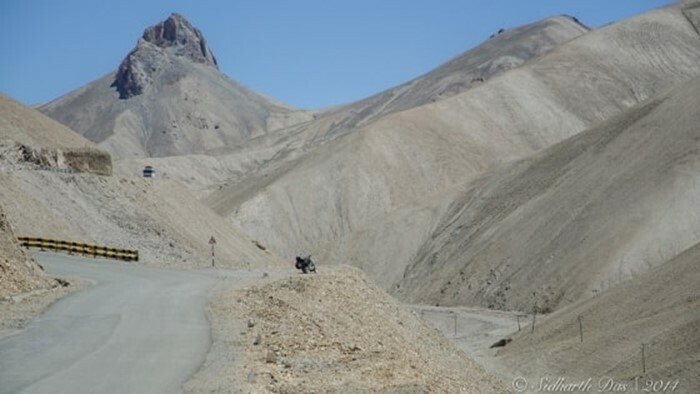 A road journey across the Ladakh region on bikes while exciting, comes with certain difficulties. Ladakh is a remote region on the Himalayan range. This factor gives the region its scenic beauty and its fame. Because of it geographic location and its altitude, Ladakh experiences low oxygen pressure accompanied with cold climatic conditions. It is recommended to follow these tips and suggestions so that one might be able to fully appreciate the beauty of this wonderful region. Spend a whole day in Manali or Leh and get acclimatized to the high altitude air pressure. If one ignores this important rule, then the probability of increase in health issues can be observed. Drink lots of water to stave off AMS (acute mountain sickness). AMS is a very common health complication and it can be avoided with proper acclimatization and hydration. Carry essential medications. Make sure to take medicines that do not cause any side effects. The most commonly used medicines are Diamox, Dexamethasone and Aspirin. These medicines also help combat AMS. Pack a first aid kit which contains essentials such as bandages, fever medicine, stomach medicine and headache medicine. Apply sunscreen and moisturizer before beginning your bike ride to protect your skin. The main hospital in Leh is SNM hospital. Apart from this, other private clinics are also available in Leh. 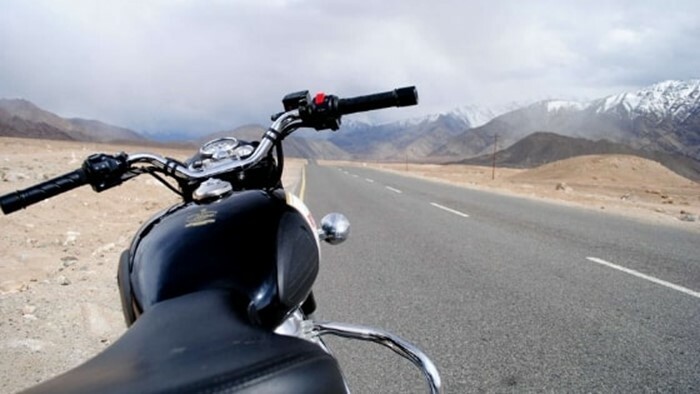 Avoid smoking and consumption of alcohol during your bike trip in Ladakh. Drink plenty of water at regular intervals of time. The importance of proper sleep cannot be overemphasized. Ladakh is a wonderful place which has been abundantly blessed with amazing scenic valleys and towering mountains. Car and bike trips through Ladakh is the best way to take in the beautiful sights of Ladakh. 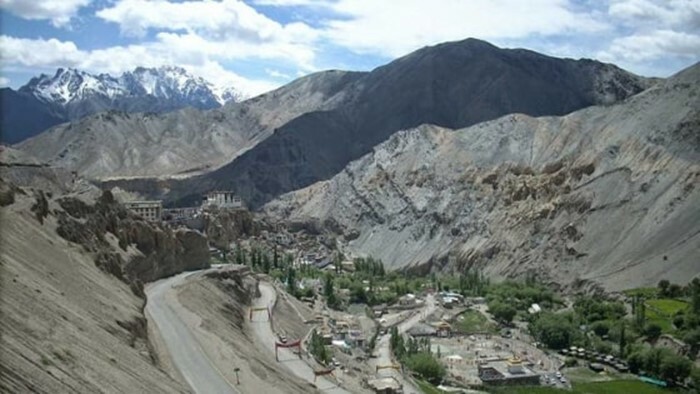 The roads built in Ladakh provide access to sensitive military areas including the strategic and the world’s highest battleground in Siachen glacier. This area faces rough and hard terrain and it is also constantly buffeted by extreme climatic conditions. Due to this reason, these roads are closed for four months during the peak winter season. So, plan your trip accordingly. This important highway connects Manali, Leh, Spiti valley and Zanskar valleys in Ladakh. This highway was built and is being maintained by Border roads organisation (BRO) of Indian army. This highway allows the passage of the heaviest army trucks. The average elevation of Manali-Leh highway is at an elevation of 4,000 feet from the sea level. The entire length of the highway is flanked by mountain ranges on both sides. The route map of this highway starts from Manali and ends at Leh. 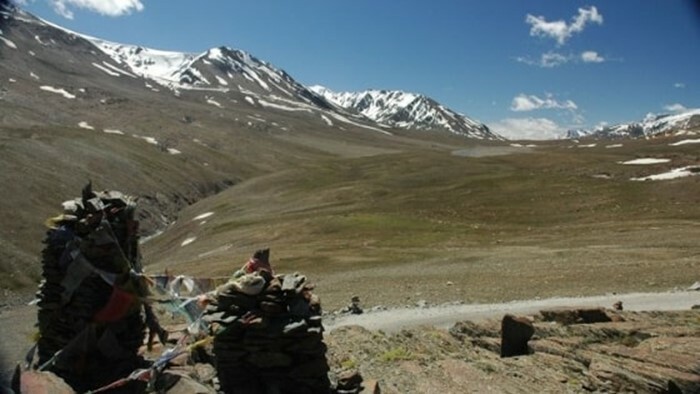 The complete route is from Manali – Rohtang Jot – Gramphu – Kokhsar – Tandi – Keylong – Jispa – Darcha – Zingzingbar – Baralacha La – Bharatpur – Sarchu – Gata Loops – Nakee La – Lachulung La – Pang – More Plains – Tanglang La – Gya – Upshi – Karu – Leh. The Srinagar-Leh highway connects the capital of Jammu and Kashmir state with the capital of Ladakh, Leh. This highway offers a contrasting view of the magnificent Himalayas. The lush green forests of Kashmir and the dry arid mountains of Ladakh is showcased brilliantly while travelling on this highway. The route is from Srinagar – Sonmarg – Kargil and Drass – Mulbek – Lamayuru – Leh. The monastery of Lamayuru is very famous and a huge rock carving of Giant Buddha overlooks the town of Lamayuru. As Ladakh is often called “The Land of Passes”, these two highways boast amazing passes that provide access. The journey through these beautiful passes complete’s ones expedition through the mystical land Ladakh. Rohtang pass is an impressive pathway which connects Manali and Leh. It is situated at an altitude of 13,000 feet from the sea level. This road faces an increased frequency of traffic in the summer months as it also serves as an alternate route for the Indian army. Rohtang pass offers amazing scenic views over skyline from the laps of Himalayas. 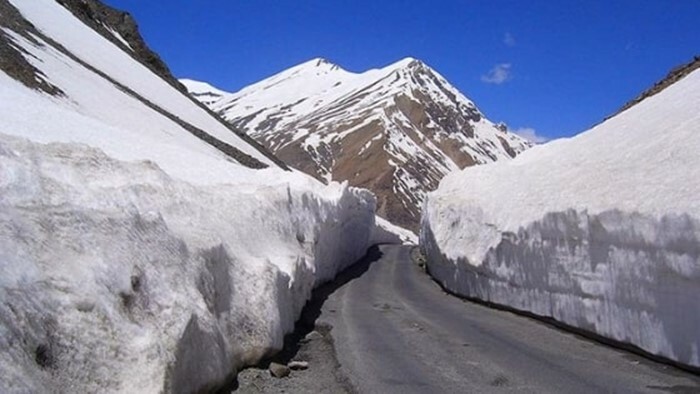 This pass is situated at an altitude of 16,000 feet from the sea level and it is located on the Manali-leh highway. This pass acts as a water barrier between the two major rivers of this region; The Bhaga river and the Yunam river. These rivers originate from a glacier near this area. Lachulung-La pass is a rocky pass situated at an altitude of 16,600 feet from the sea level. This pass offers undulating views from the lap of Himalayas as it is a high mountain pass. Because of its altitude, AMS can set in easily if one has not properly acclimatized to the heights. 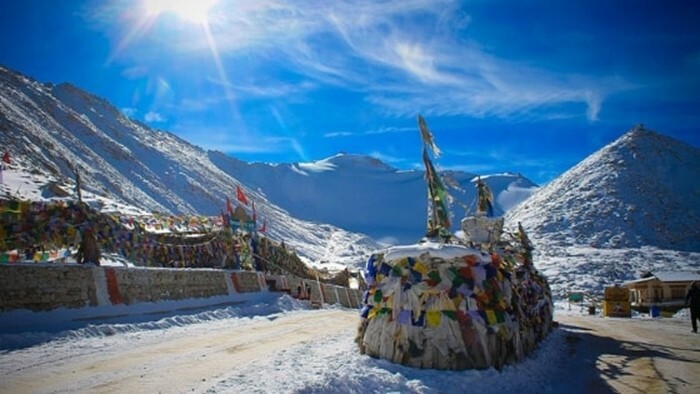 Zoji-la pass offers beautiful panoramic views of the wonderful and the lush lands of Ladakh from the height of 11,500 feet from the sea level. 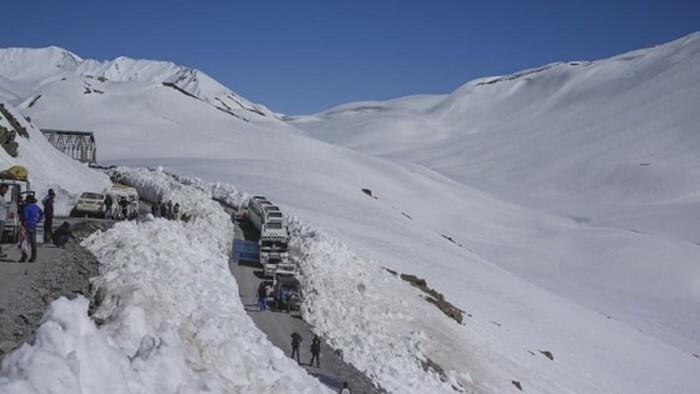 This pass connects Srinagar with Ladakh and it acts as a barrier between the lush green forests of Kashmir and the dry and arid mountains of the Dras region. This pass is not accessible in winter due snowfall. 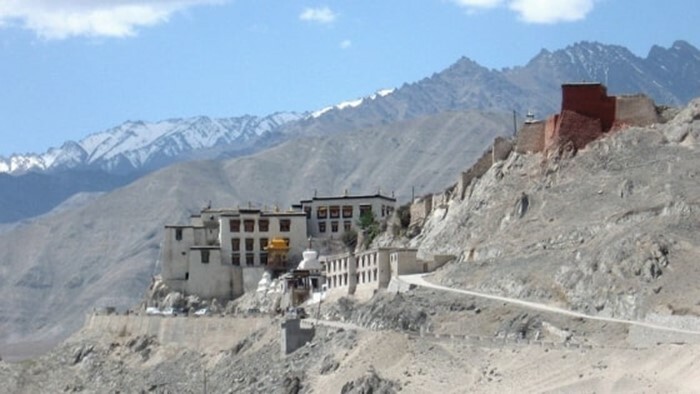 Namika-la pass is located in the Mulbek valley and it connects the Lamayuru monastery in the Zanskar range. 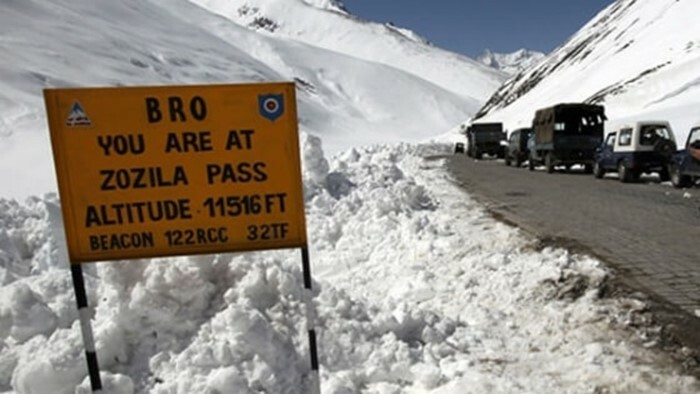 This pass offers ease of access between Srinagar and Ladakh. It is situated at an altitude of 12,000 feet from the sea level. A huge rock carving of Buddha overlooking the splendid scenery is the best feature of this pass. Khardung-La pass is famed as the “highest motorable pass in the world” as it is situated at an altitude of 18,300 feet from the sea level. 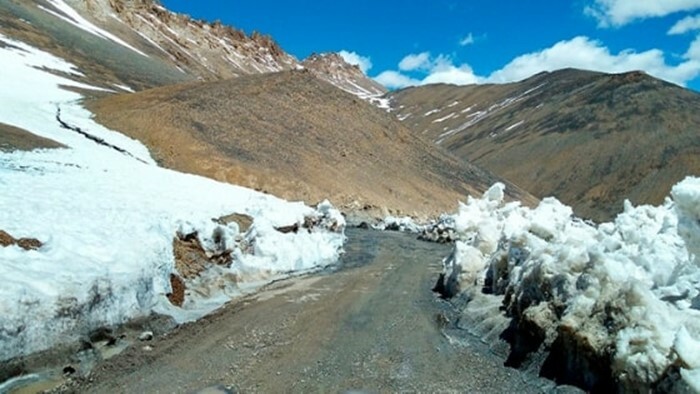 This high pass connects Leh to the Siachen glacier and it is located 40 kilometers from the capital city of Ladakh. The view from the topmost point from this pass is insurmountable. This pass is loved by adventure seekers from all over the world. This pass also plays a strategic role, as it is used to transport goods to the Siachen glacier. Ladakh is also famous for the many tourist attractions that it houses. 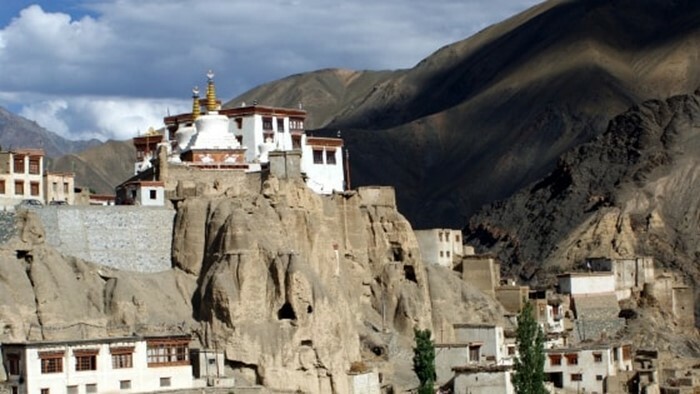 Ladakh is inhabited by the people from Tibet and as such the architecture and the culture of Ladakh is heavily influenced by its Buddhist inhabitants. Every stupa, building, valley and lake in Ladakh has a story to tell. Discover these magnificent stories in the mystical land of Ladakh. I am going to list my personal favorites and the most famous places in Ladakh that you will encounter during your bike trip across the Land of the llama. Zanskar valley is a desolate steep valley covered with snow. The beauty of this valley cannot be described by words. It is often hailed as one of the best places to visit in Ladakh region. 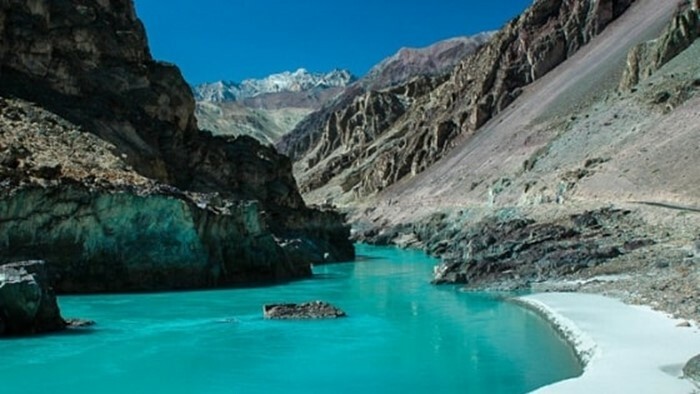 Its tributary, the Zanskar river is blessed with pristine blue water. The once mighty Leh Palace has now lost its grandeur. This ancient palace was built by the Namgyal dynasty in the 17th century. 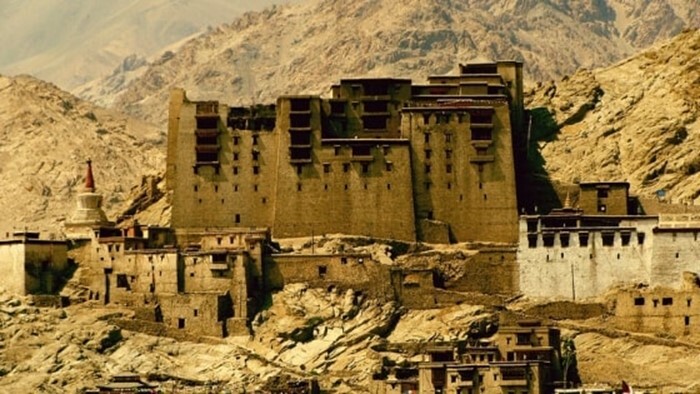 This palace is under the control of Archaeological survey of India and its preserved stone ruins still retain the magnificence of the architecture of a bygone era, making Leh Palace a famous tourist spot. Lamayuru monastery is located near the Nubra valley. It is one of the world’s most unpolluted areas. One can gaze at the vast and the beautiful milky way galaxy at night. A giant stone carving of Buddha overlooks the monastery. Nubra valley is an oddity in the Ladakh region. It is the only cold desert amidst snowy mountains. This valley is said to be the origin point of the Thetis sea from which Himalay’s is said to have been formed. The sand dunes of Nubra valley house the double-humped camels. 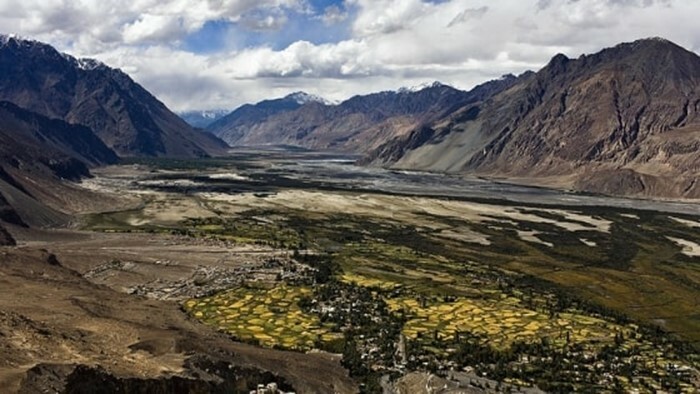 Make sure to include Nubra valley while planning your Ladakh trip. This lake owes its popularity to the superhit Bollywood movie “3 idiots”. 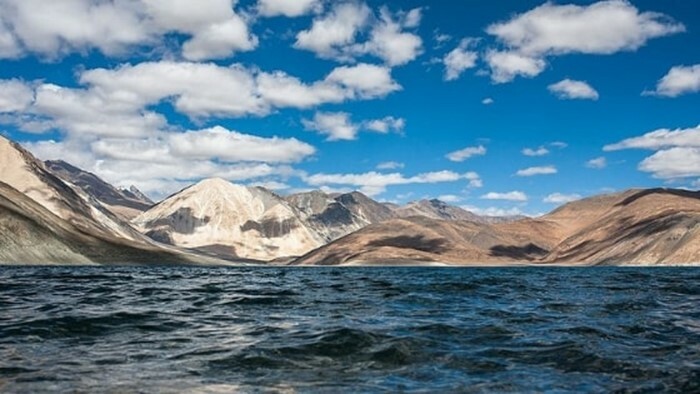 The crystal clear blue water at the climax scene from the movie is shot at the Pangong Tso lake. Camping at the lakeside is a favorite activity for the people planning a trip to Pangong Tso lake. The scenery around Tso Moriri lake seems like a real life version of Bob Ross’s painting. 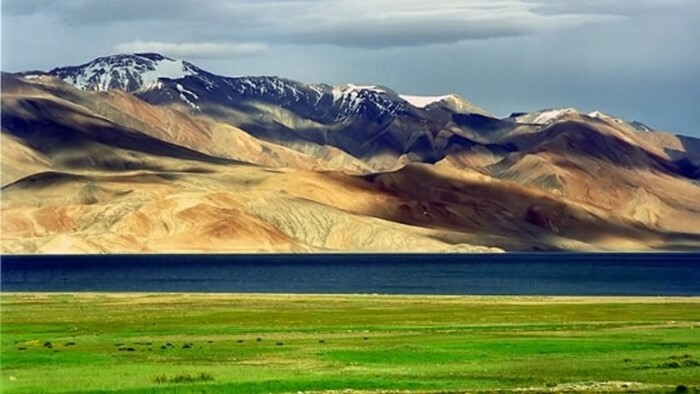 With green mountains, grey skies and pristine blue waters Tso Moriri lake is an absolute paradise for nature lovers. The culture of Ladakh is heavily influenced by Tibetans and Buddhists inhabiting this wonderful region. And as such, Ladakh is filled with magnificent monasteries. The Spituk Gompa is one such marvellous monastery which is located atop a hill. This monastery offers a unique view of the splendor of the Himalayan mountain range. Well, just knowing about the famous places will not help you visit them. Transportation in a foreign land is very important. And taxis are a very effective and common way to commute from one place to another. As tourist season approaches, fares increases. And Ladakh is not an exception to this rule. The taxi rates for the year 2019-2020 have increased by 8-12 percent. For the people who are visiting this place for the first time, you might feel the rates as a bit exorbitant. The cost of the taxi fare depends upon the vehicle you opt for. XUV, Innova and Aria are the most expensive vehicles which are used as taxis. While Xylo, Scorpio, Tavera and Qualis vehicles come under the mid-range budget. Eeco, Omni and old boleros are the cheapest taxis available. You could also opt for sharing cab to save money. It is very easy to find a sharing cab, as a lot of people in Ladakh are solo/duo travellers who look for other people to share the journey with. There are also a lot of flyers around the capital Leh about the availability of sharing taxis. It is recommended to directly call the taxi driver and discuss the cost in person rather than doing it over the phone. You get higher discounts whilst haggling in person. Apart from this, the taxi drivers of Ladakh are a friendly bunch. Ask them to take you to their favorite spot in the city and prepare to go to a spot known only to the locals of Ladakh. There are two major highways leading in and out of Ladakh. These are the Manali-Leh highway and the Srinagar-Leh highway. Other famous routes include the Pangong Tso lake, Tso Moriri lake and Lamayuru monastery trips. Fear not for I will give you the approximate fare details for most of the famous spots in Ladakh region. Leh-Ladakh region does not permit the use of taxis and self driven cars from other states for local sightseeing in this region. You can only use these modes of transport as means of transfer to and from the Ladakh region. One can use private vehicle which has a white number plate and is registered on their own name for local sightseeing. Plan your mode of transfer carefully. 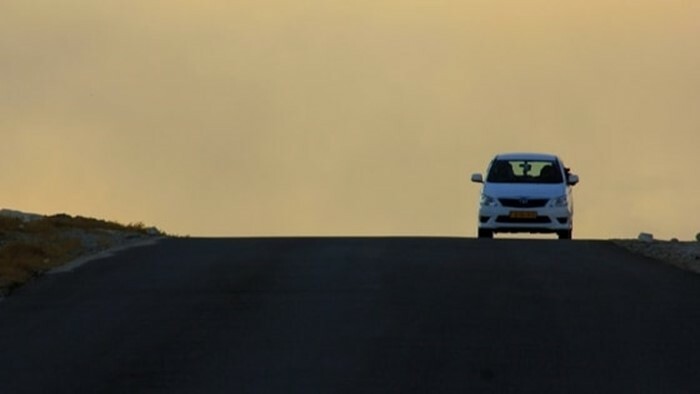 If you take a car on subscription model and enter Ladakh region, you will not be allowed to visit any places and you might have to hire a cab for this purpose. You can take a self-driven vehicle from Ladakh and use this vehicle for your transportation purposes. The most basic need of human also comes with certain problems. One cannot find many establishments en route which sell food and as such, one has to pack and carry essential food items which have a long shelf life. Maggi, chocolates and dry fruits are the staple food items which bikers prefer to carry. Carry lots of drinking water as one faces the risk of dehydration. Keep drinking lots of water at regular intervals of time to prevent AMS. Do not consume alcohol as you will dehydrate faster and your brain will shut down. Since Ladakh is a mountain area, cell phone signals are not available at all places. Only few places offer good signal strength and network connectivity. The best mobile network is BSNL. You get decent connectivity in the towns of Himachal Pradesh, but once you start your journey cell signals are only found intermittently. Water in exhaust pump and engine. Air fuel mix and a choked air filter. Bike mechanics are found in the major towns. There are only few mechanics that are scattered on the highways. My suggestion is to read up on these possible bike problems and to learn to fix them on your own. Carry extra fuel in a fuel container to avoid running out of fuel. Ladakh is a high altitude area and as such the oxygen content is very less. One needs to acclimatize to this air before starting their journey. Apart from this, the ascents are rather rapid and one might start feeling dizzy when riding. To prevent this, drink plenty of water and move at a manageable speed. AMS is another major health concern. Stock up on few medications which has minimal side effects and embark on the adventure of a lifetime cautiously. You might have to camp at places where there is no hint of civilization. Carry your camping gear and make sure you don’t set up camp in high altitude places. Carry power banks to charge your phones and restrict the use age of your phones to the bare minimum as you won’t find spots to charge your power banks on the road. All in all, Ladakh is an extremely fun place to explore and visit. But, one must exercise caution on their bike trip. 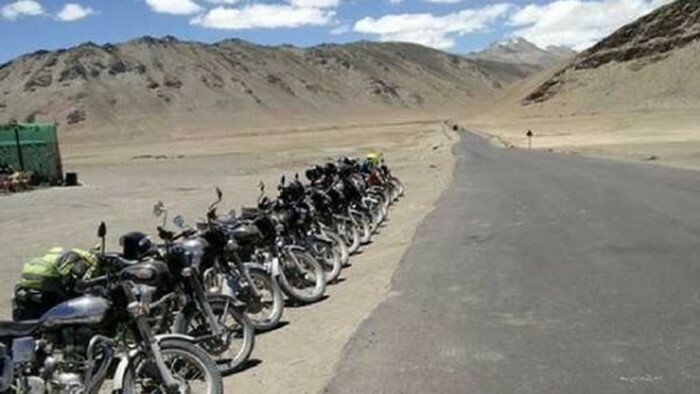 It is recommended to undertake the bike trip of Ladakh in a group. These are the main pieces of information one must thoroughly research about before planning their Ladakh trip. Lastly, Ladakh is a land of adventures. So, make the most out of your trip when you are in the mystical land of the llama.